The remake of Resident Evil 2’s latest demo – One Shot – has been making waves across the gaming community. 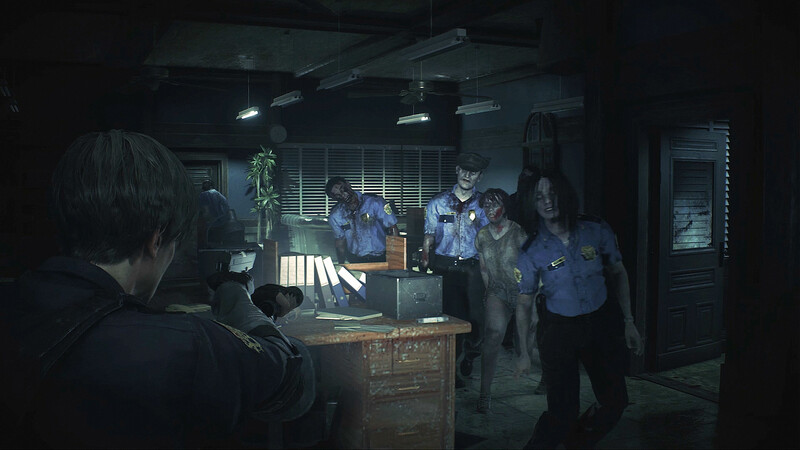 Released on Friday, the 30 minute demonstration features a terrifying walkthrough of the Raccoon City Police Department you ward off zombies in search of survivors. The demo has been met with praise though some have criticized it for being brief which, to be fair, is probably the only positive downside to a game. Resident Evil 2 Remastered is the high definition remake of the 1998 survival horror title of the same name. Players assume control of Leon S. Kennedy and Claire Redfield; two survivors of the Raccoon City virus who team up to find Claire’s brother Chris. The two go on an adventure across the zombie-infested city and uncover the dark truth about how the virus came to be and more importantly, who Umbrella Corps are. Resident Evil fans will be excited to know that Hunk and Tofu – two of the series’s characters are going to be in the full release of the game as extra playable characters. It’s likely you’ll be able to play as the umbrella agent and literal piece of tofu through the campaign, which is expected to last over several hours. People have adored the demo so much that workarounds to the game’s time restriction have been discovered, (naturally) leading to a number of people attempting to speedrun the game. Currently, the record stands at 2:57 (as shown in this YouTube clip) but people are playing well into the weekend to beat the game faster. Players have until 31st January to get their best scores in as the demo will be pulled shortly after the game’s release.